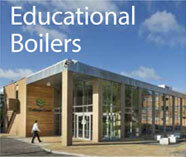 Established in 1976 Andrews provide a wide variety of multiple residential, commercial and industrial boilers. They are based in Erdington, near Birmingham together with Potterton Commercial form Baxi Commercial Division part of the BDR Thermea. They offer energy efficient operation, which has won them a number of awards for example with the MAXXflo unit, winner of the Queens for Enterprise Award 2007 and Innovation category 2007. 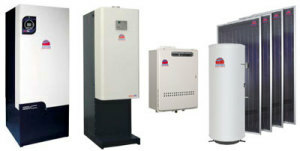 We can service or repair all types of Andrews Boilers including the FASTflo range, the SOLARflo range, the SUPAheat range and the AMBIflo range. Aquatech has over 20 years experience and the company endeavours to exceed expectations and deliver a good service. The ethos of Aquatech is to consistently deliver and manage projects within a specified deadline whilst delivering excellent service. Employees follow a robust training program ensuring that certification and qualifications are up to date; our engineers are Gas Safe Registered and compliant with up to date qualifications and certifications and we provide a range of servicing and maintenance contracts tailored specifically to your needs. To see a full list of servicing abilities, click here. For a quote please contact us here. How to improve the efficiency of your heating system. How to be more efficient with water? Storing water can lead to legionella. Here’s how!